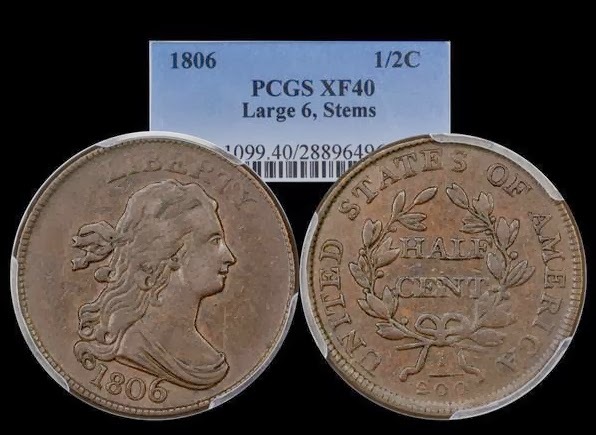 See Coin Collecting and Genealogy for the first of this series. I feel that I should start here because these were the coins I was most interested in when I first examined the coins in that tin box. I had an instant attraction to them - the designs and the chocolate coloring and their weight. 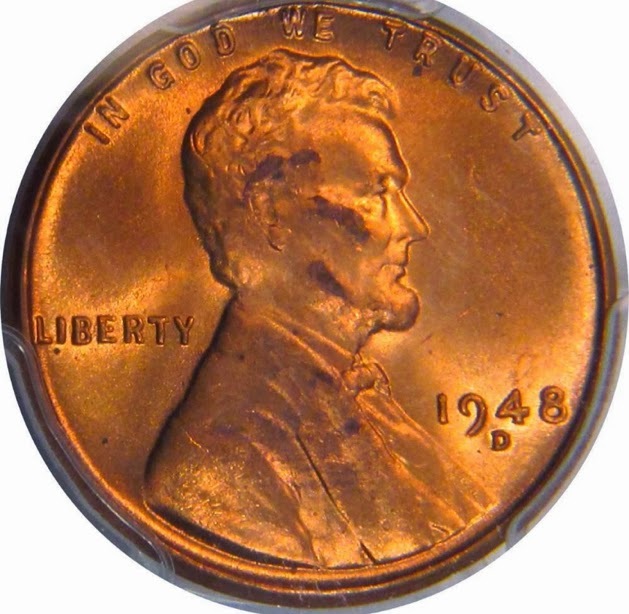 I fell in love with Large Cents and Half Cents and I still feel that way today. 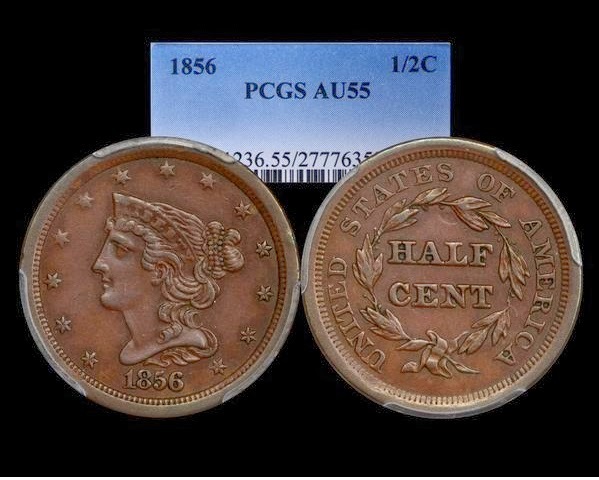 The only coin that I never sold was the 1855. 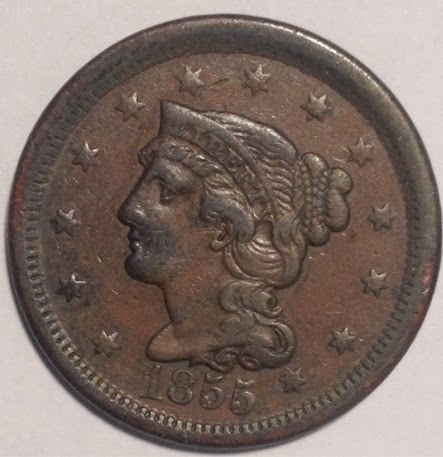 There are actually several varieties for 1855 - the one here is not rare, although the total mintage for this year was only a million and a half coins. 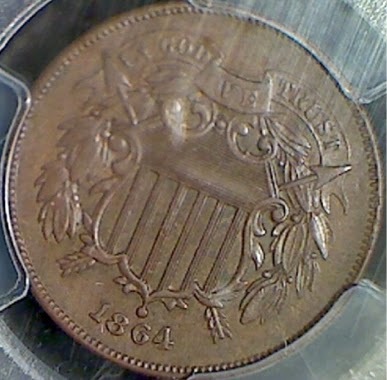 I think I remember an 1851 in the set also, but that would be a duplicate of this type, so I might be wrong. Regardless, I bought one because 1851 was HML's birth year. I definitely remember an 1816, which was low grade and very dark. 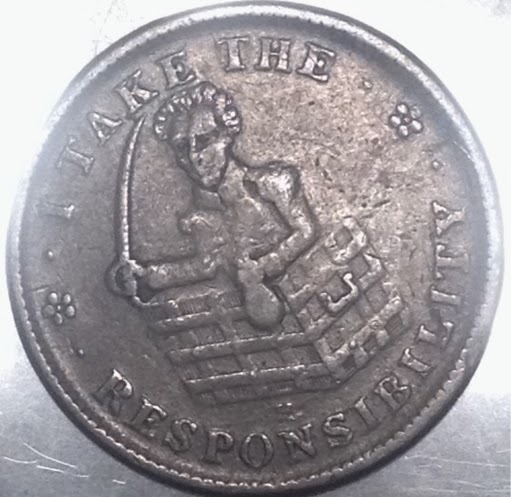 1816 was the famous Year without a summer, a tough year for many, so it is fitting that this coin should be so beat up. 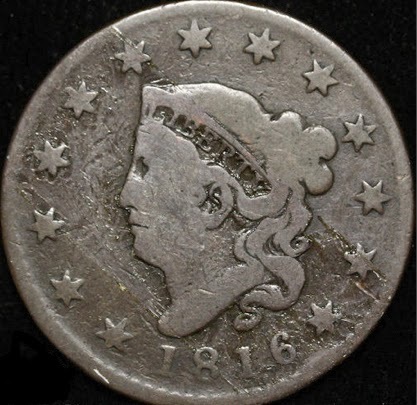 By the way, somebody recently pointed out to me that in 1816 no other U.S. coins were minted - just the large cent! I don't remember anything prior to 1816. That's good for my wallet; those coins get very expensive. That leaves two other varieties, neither of which I can remember dates or grades. I'll just buy decent examples and post the pictures here when I get them. By the way, I apologize for the pictures. They are not high quality and they vary in size when they should not. Maybe someday I'll rig up some sort of stand to be consistent. 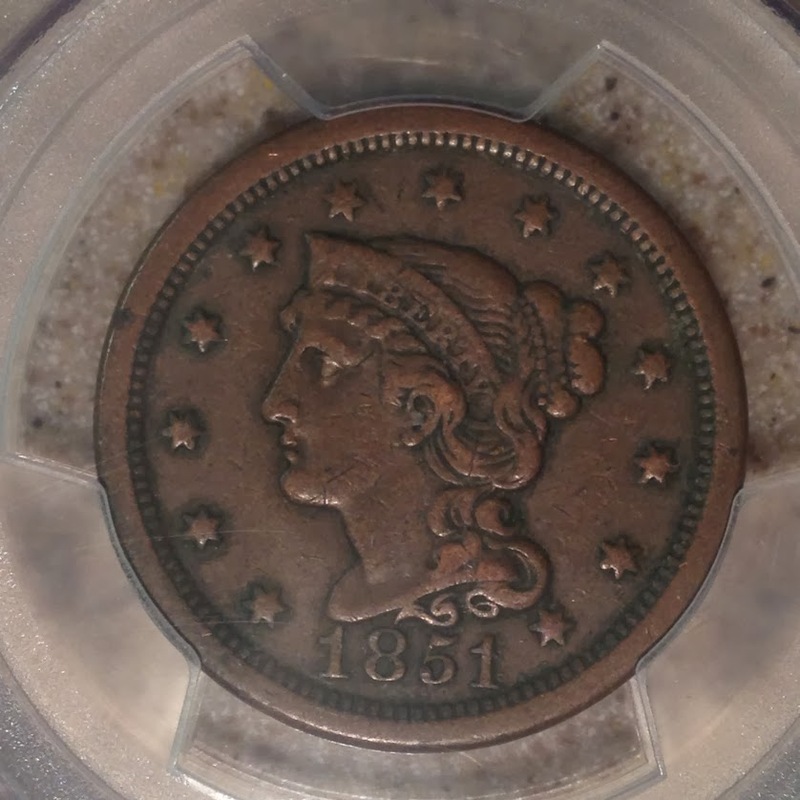 Here's the 1851. The major variety for that year is the 1851/81 (this is not that). I used to have books on the minor varieties, but sold them long ago. The 1855 is in slightly better condition than this, but it's still an attractive example. 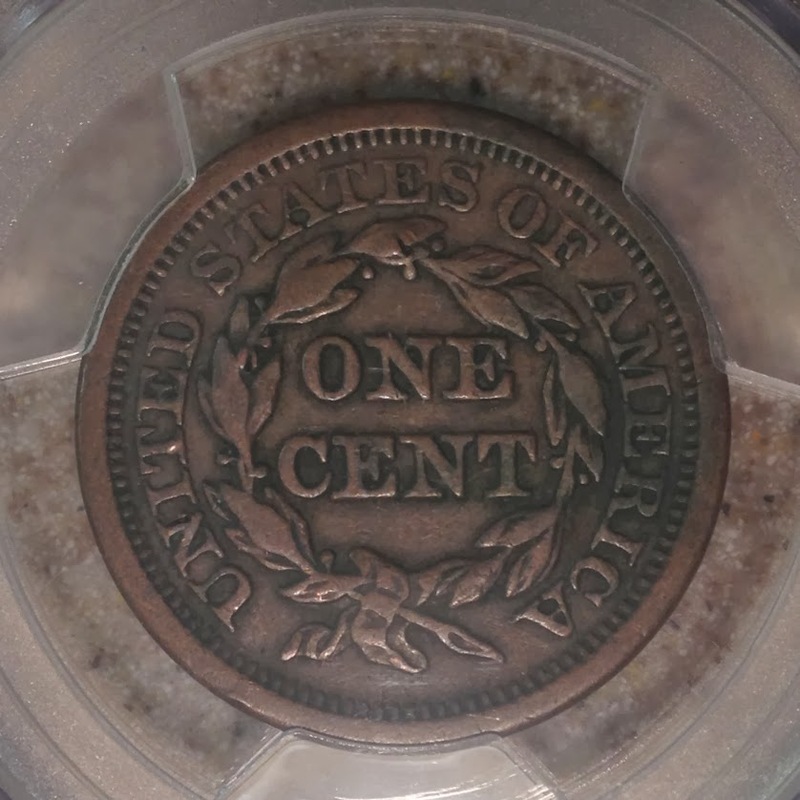 Common dates like this run around $40.00 in this condition as I write this in early 2014. 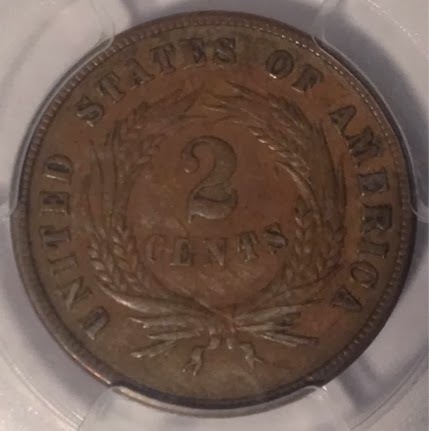 By the way, NEVER, EVER try cleaning old coins to make them look better. You are almost certain to destroy their value. In the case of contaminants and green oxidation, there are things a professional can use, but do NOT try that at home! I'm quite sure that there was at least one half cent in that box, but I do not remember date or condition. I bought this very nice one instead. If I every do remember, I'll buy something else. My memory could be way off on that, though. There is another design (Draped Bust, 1809-1844); it may have been one of those. 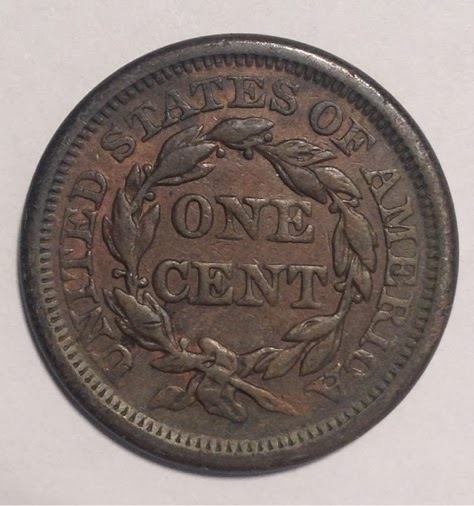 However, I think I remember the "1/200" on the reverse, which disappeared starting in 1809. 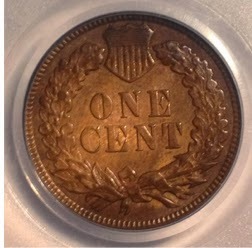 I remember that the one from the collection was high grade and had an interesting die break, though I cannot remember where. 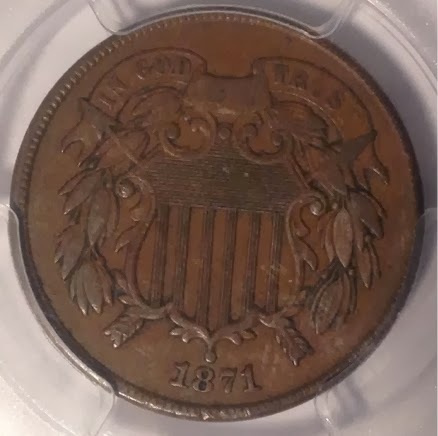 I keep looking at these whenever they come up for sale, hoping to spot that break (a die break or chip causes a raised area on the coin). This was the first U.S. Coin to display "In God We Trust". People who insist that we should do what the founders wanted should take note: the founders didn't want this. 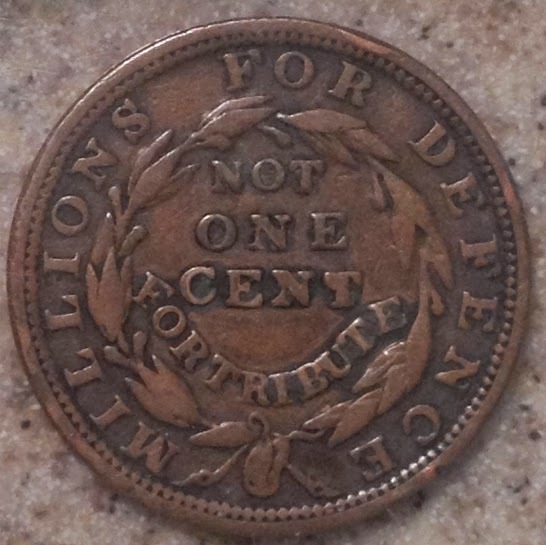 These two tokens were part of the collection. I had no trouble finding them on Ebay. 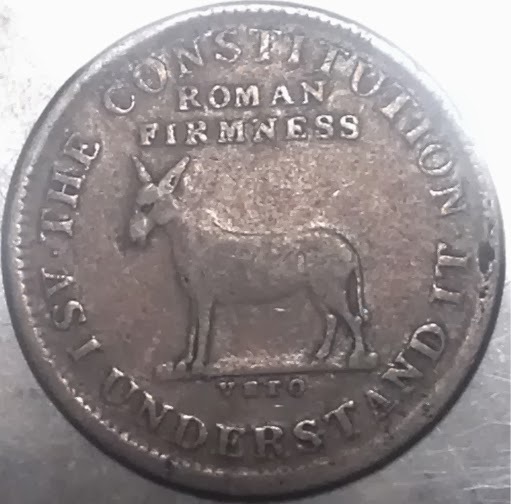 This political token was was made around 1834 by the Scovill Manufacturing Company in Waterbury, Connecticut. It was political satire directed at Andrew Jackson's desire to abolish the Second_Bank_of_the_United_States. “I take the responsibility” is what Jackson said when he transferred the Bank of the United States funds into 25 state banks. On better examples you can see the letters LL.D on the donkey. That was a poke at the honorary degree Harvard had awarded the poorly educated Jackson. 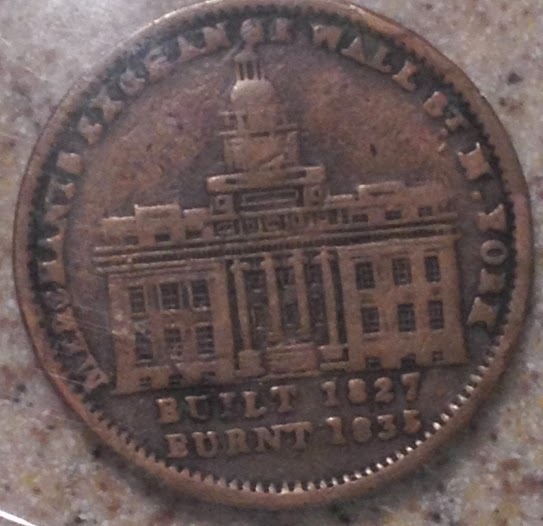 This token dates from 1837. There are many like it. Do you see the odd spelling of "Defense"? Apparently that wasn't odd in 1837. The phrase itself was quite common for the time. 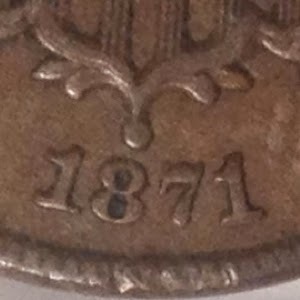 The Panic of 1837 cause coin hoarding and a great shortage of change. These tokens tried to fill the gap. The building is the Merchant's Exchange building on Wall Street which burned in 1835. That may be mentioned on the coin because the marble building was supposed to be fireproof! Also present was the "Lord's Prayer" token mentioned in the introduction. 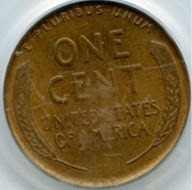 This last token is from 1901. These types of medals are "So-called Dollars" because they are Silver Dollar size. There are a lot of them and of course there are people who collect all of them. In general, things like this fall into what's called "exonumia". 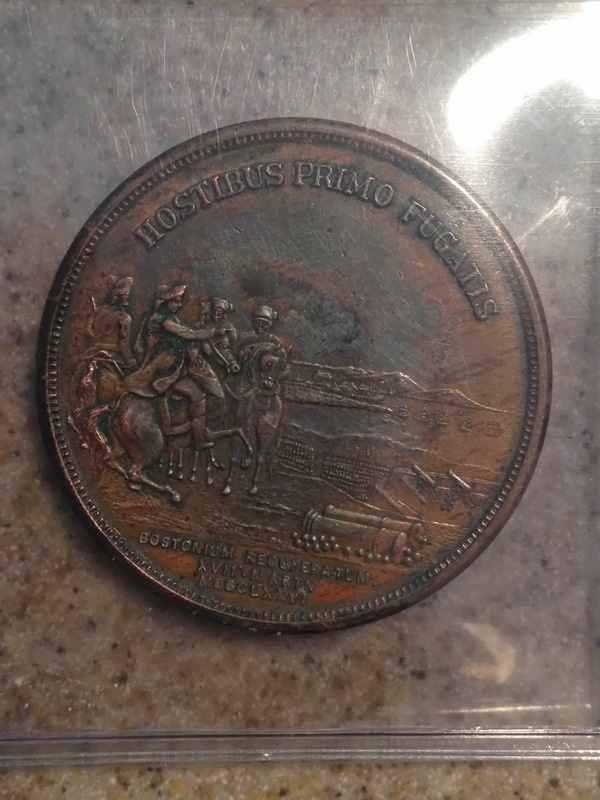 Reverse of issue below is replica of famous Gold medal given General Washington by Resolution of Continental Congress March 25, 1776; only gold medal ever granted him by Federal Government. 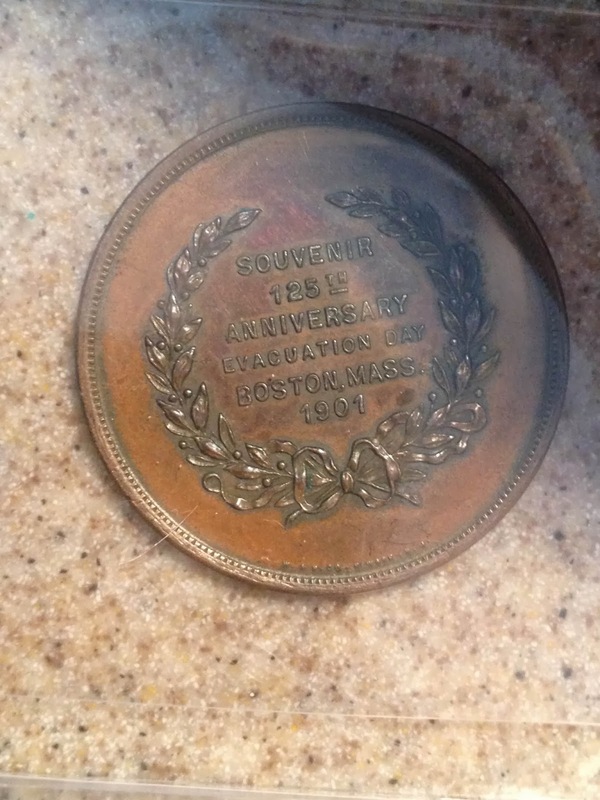 One hundred years later, just prior to both Centennial Celebration of Evacuation, Boston and to U.S. Centennial, Philadelphia--1876, 50 Boston citizens subscribed fund to purchase medal from Washington family who finally were induced to act due both "to losses sustained…during… Civil War…and (national) interest…of the centennial." Purchasers immediately presented piece to City of Boston to be "preserved forever in the Boston Public Library." Medal is about 68mm. in size, 2 11/16mm. thick and weighs more than 7 oz. These reproductions were distributed to Boston school children in 1901; struck by Whitehead & Hoag, Newark, NJ. Born in Worcester, MA on Nov. 19, 1861. Lawrence came to San Francisco in the 1880s and established a studio. One of his notable achievements was the fresco on the ceiling in the Flood Mansion (now the Pacific Union Club). At the turn of the century, he left San Francisco and returned in 1915 to achieve fame by his revolutionary color effects on the buildings and roofs of the PPIE. His Court of the Ages at the Expo was one of his best works. While in San Francisco he also did the interiors of the Public Library and the Granada Theatre. Lawrence died in Sharon, MA on Sept. 4, 1937. My cousin Nick has the birthdate as 1851 - I don't know which is correct. 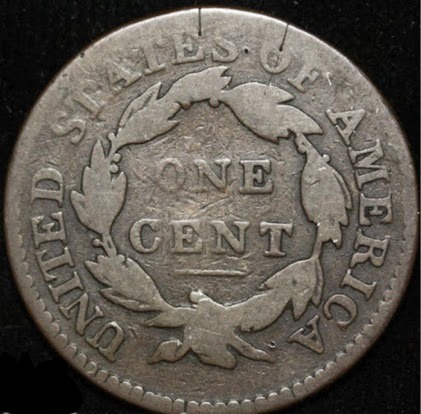 The oldest coin in the collection was dated 1787. It was very worn, with the date barely visible, and had been cleaned, so it was really an ugly piece. I did not recognize it for what it was. I thought it was a British Half Penny. The coinage mill was forty to fifty rods below the pond, on a canal dug for the purpose. The building was of wood, thirty by forty feet, and two stories high. The metal used was copper, obtained by melting up cannon and leaving out the zinc in the alloy. The copper was then run into moulds, and rolled into flat sheets of the thickness of the coin and from one to two feet wide. It was then punched with a screw, moved by a lever, so adjusted that half a revolution would press out a disk of the size of a coin. The blanks were then put into a cylinder and revolved with sand, saw dust and water. They were generally left revolving through the night; and the coiners circulated the story that the devil came by at night to work for them. They also sometimes worked in masks to create a terror in the neighborhood. I added these copper coins. They were NOT represented in the original collection. 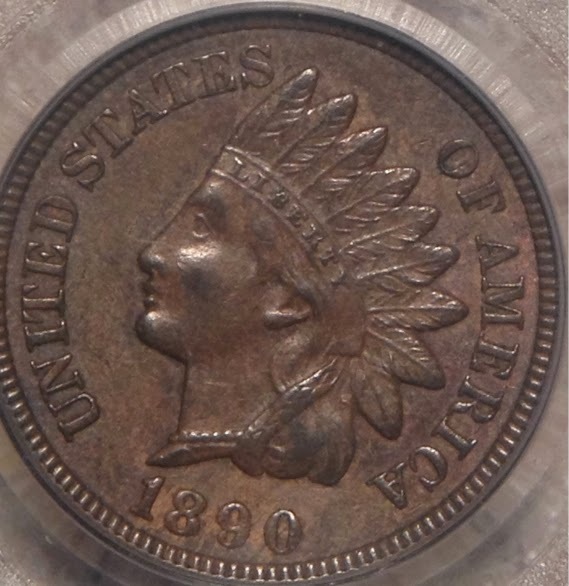 The "Moonlight mint" produces a number of these limited edition fantasy coins (there were no Indian Head cents in 1910). I'm surprised that this is legal, but apparently it is (though see 1964-D Peace Dollar) for arguments against such things. 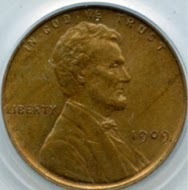 As a child in the fifties, I found a high grade 1909-VDB Lincoln in change. 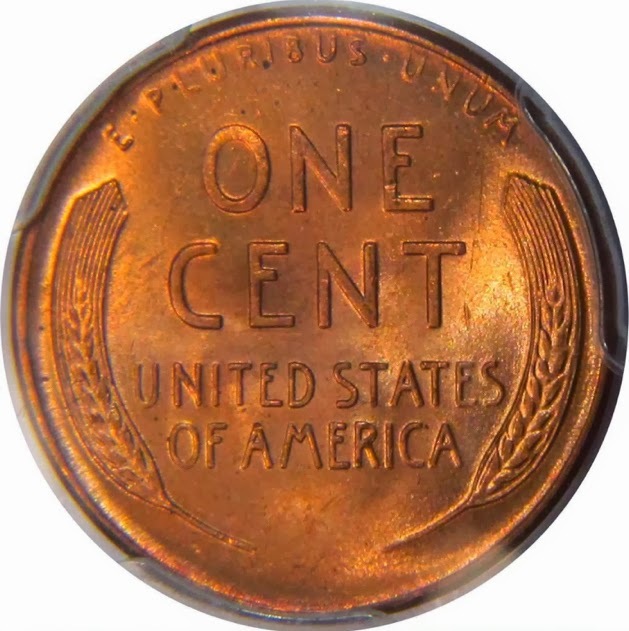 That's not a "rare" coin, but it is the only year in which the designer's initials appear on the reverse (V.D.B., Victor D. Brenner). People objected and the initials were placed under Lincoln's shoulder from then on. The "S" (San Francisco mint) version of this is very rare and expensive.